Have you ever stumbled on any celebrity you see as an idol and you are like: "OMG! Is that you or am I dreaming? ", then you rush to get an autograph or take selfies? 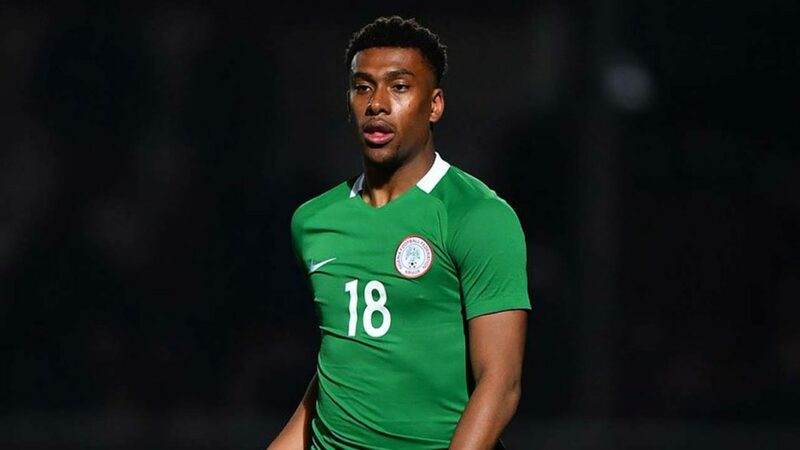 This was the situation Alex Iwobi met on his trip to Nigeria. The Arsenal midfielder left London for Africa where he is to represent his country at the ongoing international break and unsurprisingly, he was 'mobbed'. The large turnout from fans in his homeland is an indication that he has won the hearts of his fellow compatriots following a number of impressive outing so far this season. Aside that, he is one who always makes great impact whenever he is in green and white colours. Iwobi joined his colleagues in training as they prepared for their weekend clash with Libya and as soon as the event was over, a large crowd struggled to gain access to him. While some just wanted to get close, others needed to take selfies with him. According to his father, he is being shown much love all because of his patriotism to his nation. Since picking Nigeria over England, the 22-year-old hasn't regretted his choice. He has made himself a regular and been an important figure for the Nigerian national team. He ensured his side made it to the most recent World Cup in Russia. He is beginning to seal his place in the Arsenal first eleven. His four assists and a goal so far justifies Unai Emery's decision to involve him of late.